By Shaunna Evans 21 Comments · This content may contain affiliate links. Whether you’re going on a walk in the neighborhood, at the park, or in your backyard, kids are always naturally looking for something. These six posts shared recently on the Discover and Explore linky are great ways to add a little more fun to your outdoor adventures. You could even keep a nature pack in your car, so you are ready for an adventure any time! 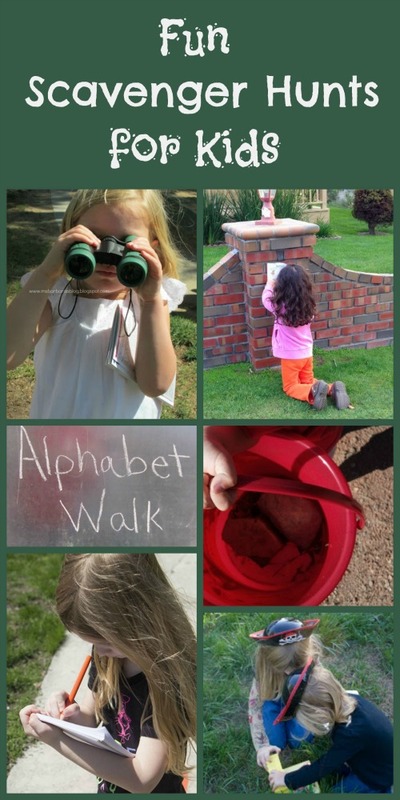 We also love this collection of scavenger hunts from Hands on As We Grow. 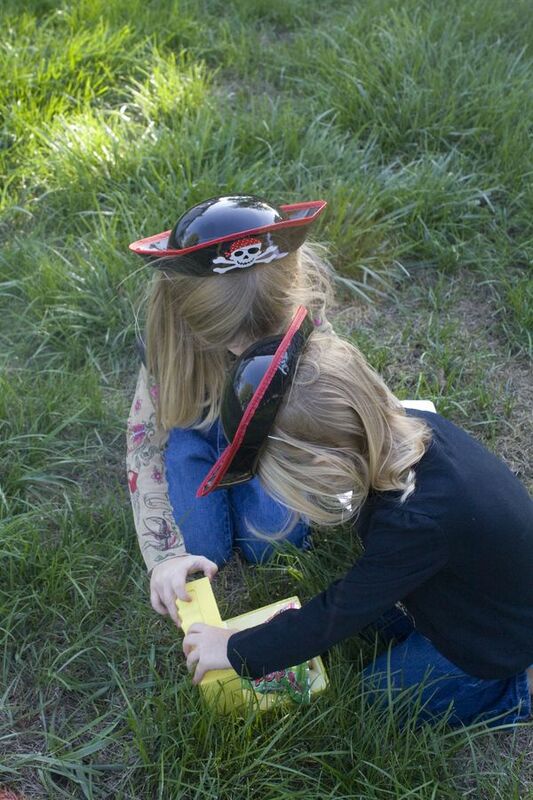 There are 32 ideas for indoor and outdoor scavenger hunts for kids to enjoy. 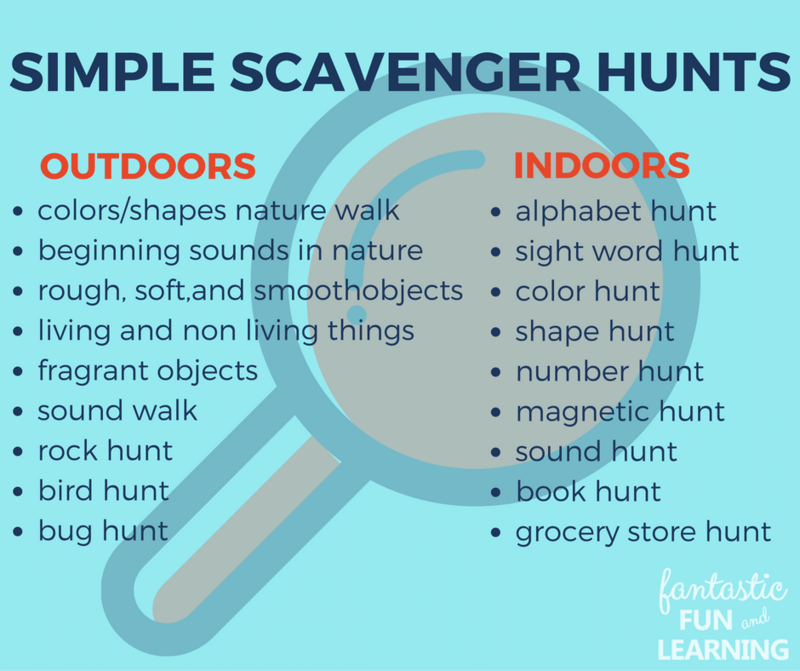 You don’t need to do any preparation to try these indoor and outdoor scavenger hunts. Use them anytime for a quick boredom buster. 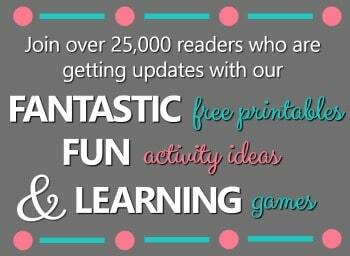 These posts and other highlights have been pinned to the Discover and Explore Pinterest Board. 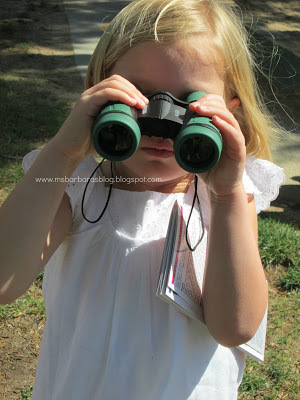 We’ve picked our binoculars up during great summer sales. The ones pictured here are included in a post from For the Kids. Stop by, and I’m sure Ms. Barbara can give you a little more information on those specific ones. This is a great collection. I’d love for you to share this at my Summer Bucket List Idea Share along with your upcoming Backyard Games and/or other summer activities. Found you via Sun Scholars this morning. Thanks for sharing these great ideas! Fantastic! Thanks again for sharing. Love the water balloon ideas as well! What a great round up of ideas. We went on a listening walk this morning and heard several different creatures and collected quite a few treasures. Thanks for sharing so many different ideas! You are very welcome. 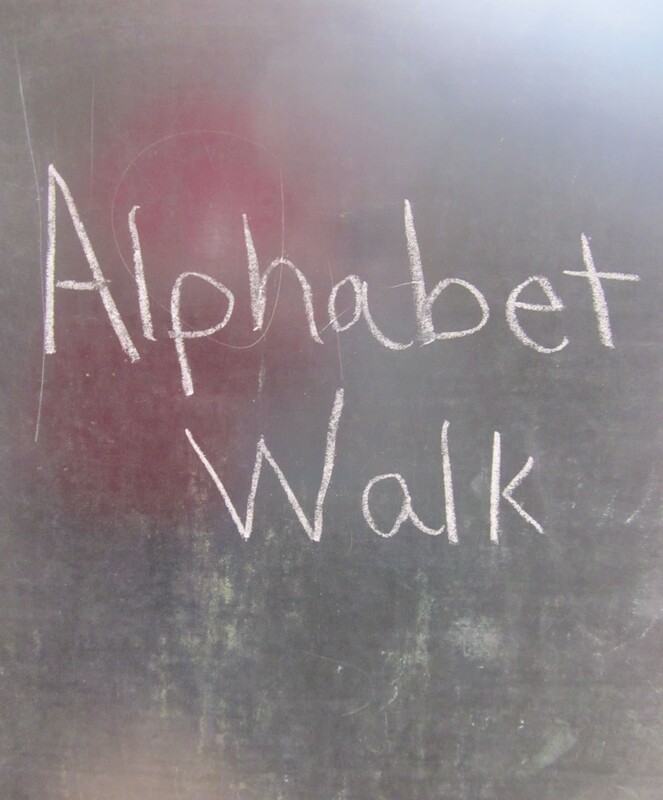 I love the great ideas in this post, and listening walks are one of our favorites. We especially enjoy getting out early in the morning. Love this, can’t wait to try some of the ideas! What a great collection–I’m always amazed by how many things there are to do outside! 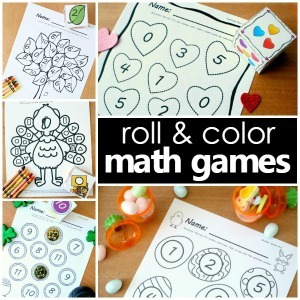 Thanks for linking this up at Teach Me Tuesday at Preschool Powol Packets! Thanks for featuring a few of our walks! Loved them! Thanks for linking up! We love them, too. I like how they encourage kids to look at the things around them a little differently. I love the rock idea! 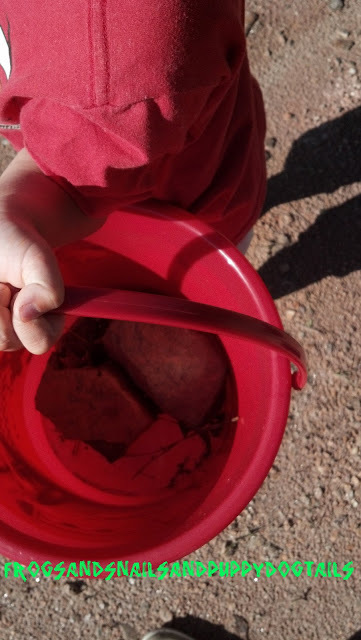 Well, my kids would probably enjoy all of these, but lately they are loving rocks. I think we’ll have to do a rock hunt tomorrow! Thanks for the idea. I think the rock idea is great, too. 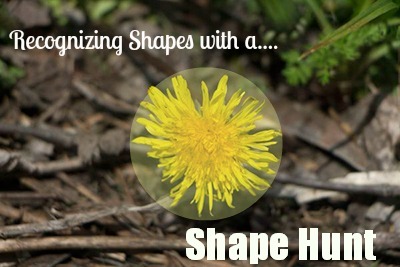 I hope your kids have fun on their rock hunt! 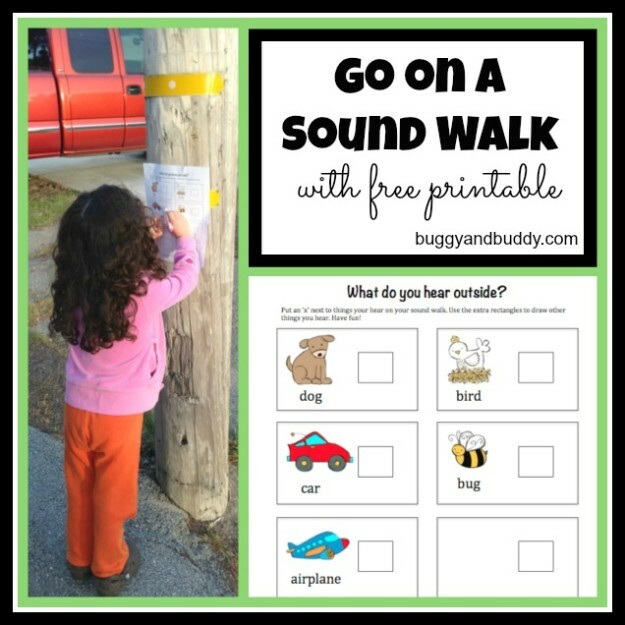 Thanks so much for sharing our sound walk! Can’t wait to check out the other scavenger hunts! Your sound walk is terrific. I was very happy to include it!